NRB Global Bank formally opened its Shindurpur Branch at Feni on July 17, 2016. 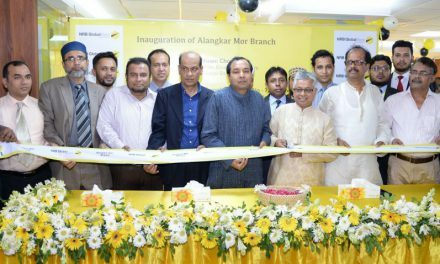 Mr. Nizam Chowdhury, Chairman of the bank has inaugurated the operations of the branches as chief guest. Among others Additional Managing Directors Md. Golam Sarwar & R Q M Forkan, Chairman of Dagonbhuyan Upazila Mr. Didarul Kabir Ratan, Office Incharge (OC) of Dagonbhuyan Thana Mr. Md. Aslam Uddin, Shindurpur UP Chairman Mr. Nur Nabi, Branch Managers, honorable & distinguished clients were also present on the occasion.